This time the spotlight will be shining on Huenison, a colorful arcade blaster that’ll test your reflexes with some colorful destruction. Let’s see if we can’t help it escape the cold emptiness of Greenlight limbo. Huenison is a frantic-paced hybrid of shoot ’em up and colour-matching puzzle game presented in a neo-retro, unique dot-matrix visual style. Piloting a small mobile cannon back and forth across the bottom of a well, you must cycle through your six coloured beams, firing at the descending onslaught of corresponding coloured blocks. Missed shots bring the deadly zapper closer to your cannon, and missed blocks raise the ground they touch. Remember the arcade classic, Space Invaders? Chances are you do, but that’s besides the point as Huenison doesn’t have a lot in common with it; yet it kinda does. I mean, sure, you’re controlling a movable turret at the bottom of the screen, blasting blocks at the top, but that’s really where the similarities end. See, they don’t just move from left to right – they’re far more mobile than that, capable of rapidly descending towards the bottom of the screen; oh and you have to match their color, or no damage will be done. Actually, that’s not quite right as any that get past your ship take up permanent residence where they land, which can be quite hazardous long-term. On top of that, each missed shot brings the zapper (orange line) closer, so either you make each shot count in this blast from the past or… no high score for you! So riddle me this, dear reader: why is Huenison still struggling to get through Greenlight? It’s been out for a while (since July, 2013), so lack of availability is certainly not the reason. If you haven’t done so already, might I recommend visiting its Greenlight page and handing over a ‘yes’, if you like what you see? Remember: your vote matters! 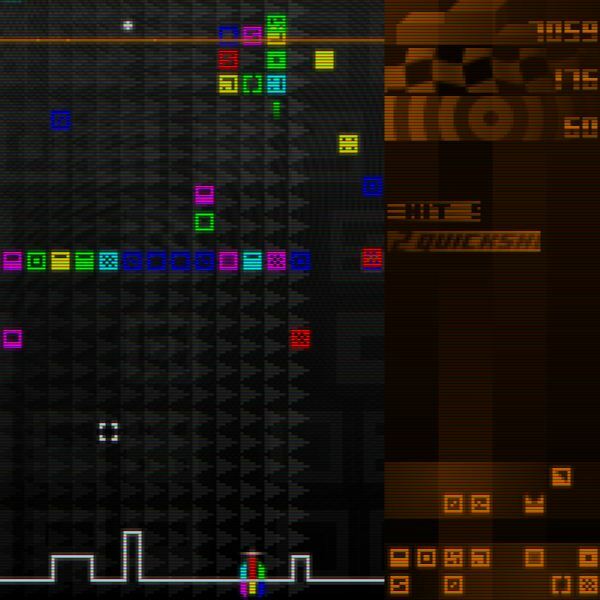 Huenison is available for Windows from Desura, IndieGameStand and rgcd.co.uk, priced at $6 and without any DRM.